The en bloc sale frenzy in Singapore’s private residential market continues as 3 residential properties were sold successfully via collective sale within the last 6 days. Asia Gardens, situated along Everton Road – within the Spottiswoode residential enclave was sold on 17 April 2018 to a private consortium led by property group Sustained Land (who developed the fast-selling Sturdee Residences) for a sum of $343 million or $1,565 psf ppr (development charge will not be payable due to the high development baseline). Other partners involved in the consortium include Ho Kee Group, an investment firm owned by the group chief executive of CWT, Loi Pok Yen. Constructed back in 1980s, Asia Gardens was launched for en bloc sale back in March 2018 and the 23-storey tall freehold development has a total of 84 units and owners are expected to be paid gross sales proceeds between the range of $3.476 million to $7.73 million. The Asia Gardens site has a land area of around 72,059 sq ft and a 2.8 plot ratio. Thus, the future new launch at Spottiswoode can possibly be redeveloped into a brand new 36-storey private condominium and yielding around 264 private homes, subject to approval from the authorities. 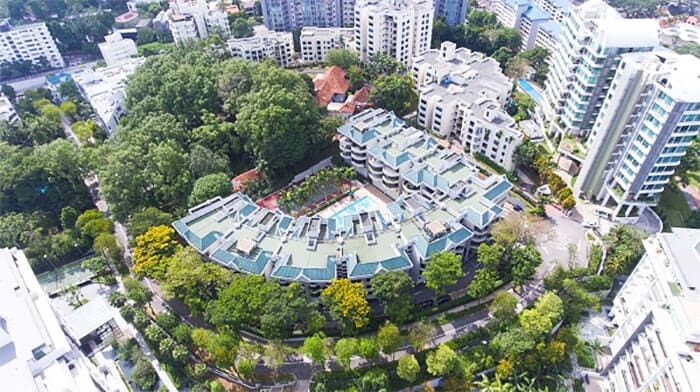 Two days after the Asia Gardens en bloc, Olina Lodge – a 67-unit freehold residential development situated along Holland Hill was sold to Peak Opal (a subsidiary firm of Kheng Leong) for $230.9 million – 5% higher than the initial reserve price of $220 million or $1,712 psf ppr with no development charge payable. 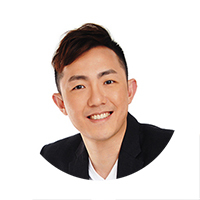 According to marketing agency Singapore Realtors Inc (SRI)‘s managing director Mr Tony Koe, owners at Olina Lodge are expected to receive a payout of $3 million, up to $5 million max from the en bloc sale. The 12-storey Olina Lodge is sitting on a site spanning across 84,289 sq ft and has a 1.6 plot ratio. Latest on the list is the 114-unit Dunearn Gardens. The freehold private residential development located just off Newton Road was sold to EL Development for $468 million or $1,841 psf ppr – based on a 10% bonus space for balconies and raising the plot ratio to 3.08. It was, in fact, Dunearn Gardens’s 3rd en bloc attempt thus far and owners expected to be paid around $2.69 million – up to $7.98 million. EL Development had a resounding performance in 2017 by clearing out 2 of its new launch condo projects – Symphony Suites and Parc Riviera. The group believes that the future project at Newton appeal to home buyers as well as property investors due to the site’s excellent location at the city fringe.